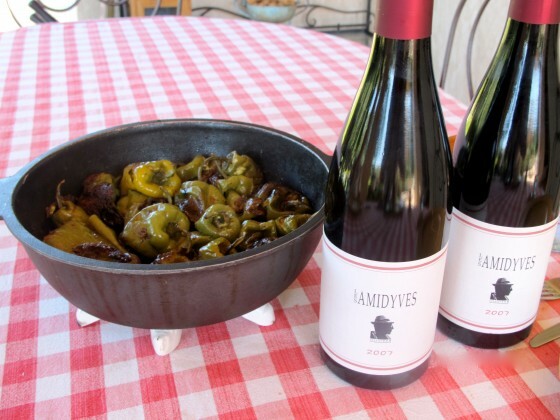 PROVENCE SUMMER PAIRINGS: STUFFED SMALL MARSEILLE PEPPERS WITH A FRUIT-INTENSE RED — AN AMIDYVES FROM OLIVIER B. 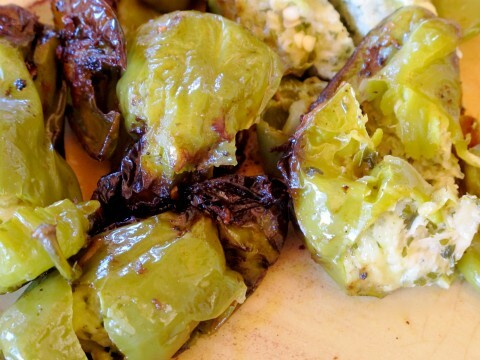 Stuffed small green peppers — Petit Marseillais are a Provencal delicacy. From three to four inches in length — Petit Marseillais are found at the stands at farmers’ markets in Provence during the summer. If you rent a gite in Provence, this is one dish to tackle as one rarely finds it on the menus of local restaurants. A simple recipe for the stuffing: eggs, grated gruyere cheese, garlic, parsley, olive oil, salt and pepper. The challenge is carefully stuffing the Petit Marseillais at the stem. Add a bit of olive oil to a pot and cook on the stove pot on medium heat. Serve with a Côtes du Rhône or an AOC Ventoux red such as the Amidyves (friends of Yves) from Olivier B. An intense color of dark cherries, the Amidyves (60% Grenache, 40% Syrah) has a spicy nose, on the palate an abundance of lush cherries, black currants and herbs, with a clean spicy finish. A beautifully balanced drink, one of the top-rated red wines by quality / price standards in the region. The wines: Grown in organic tradition, harvested by hand, and untreated (yeast, acid, enzyme) during the wine making process. Olivier B believes that 90% of the work is done in the vineyards (and didn’t Woody Allen quip that 90% of success was showing up). Olivier B’s talent reveals itself in his bottles that find their way to some of the better restaurant tables in Provence. Consider the unique logo: A black silhouette of Olivier B wearing a short brim straw hat. Olivier B attended a benefit in Provence for the African country of Burkina a few years ago and bought one hat. He returned a year later and bought five of the six hats available. As PVB reported last winter, the ‘blogosphere‘ rescued Olivier B. from the abyss. 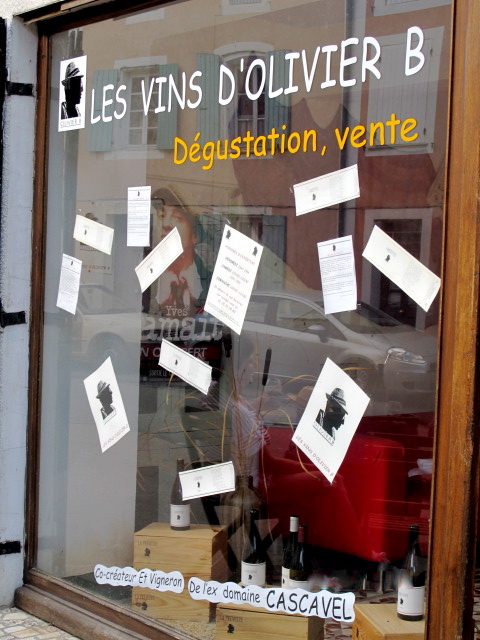 Restaurants serving Olivier B in the Vaucluse: Le Phebus, Joucas; Les Bories, Gordes; La Bastide de Gordes, Gordes, Chez Serge, Carpentras; Hôtel Les Florêts, Gigondas; Le Montmirail, Vacqueyras; Prevoté, L’Isle Sur-le-Sorgue. No U.S. importer at this time.